In the western part of Balochistan in Kohistan there is no any Baloch who is not aware about the story of Tawkali mast and Sammo. Tawkali who fall in love with Sammo belongs to the marri tribe. He was born on 1828 in a Balochi Gidaan (house) near the mountains of Kahan. His father’s name was Khermo. He had 5 brothers. His mother passed away in the early age, but when he turned to 14, his father also passed. 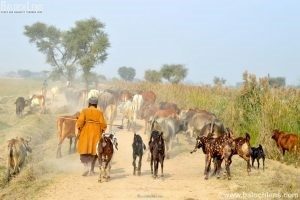 Like every Baloch nomadic Tawkali Mast used to feed, or guard herds of sheep. Since the childhood Tawkali Mast used to be silent. He was always lost in the thoughts and sometimes he used to be lost in thoughts that much that during guarding / feeding the herds, he forgot about the herds of sheep and the herds wondered here and there but Tawkali Mast was lost in his own thoughts. Sammo belonged to the Marri tribe, she was a married woman and the mother of 3,4 children. Her husband also belonged to Marri tribe. Tawkali Mast in his poems used to call Sammo “Sammi or Samul”. This name is common among Baloch women. One day Tawkali Mast was travelling to somewhere, it was a rainy weather and evening time, when he was crossing the rivers of mountain and sky was covered with cloud. He was searching for a shelter. 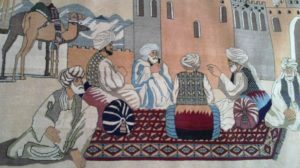 After travelling some distance Tawkali found a tent and the owner of the tent came and welcomed Mast Tawkali and took Tawkali into the tent. The rain was falling very fast and wind was blowing strongly and wind loosen the rope of the tent , the mistress of the house Sammo came out of the tent and started to tighten the ropes of the tent. Soon the lighting hit and the eyes of Tawkali fell on Sammo who was wet due to rain and standing outside the tent without scarf on head- her long wet hair were covering her body. After this incident Tawkali Mast fell in love with Sammo and always used to remember this incident. After seeing the beauty of Sammo, he was unconscious in the whole night at Sammo tent. 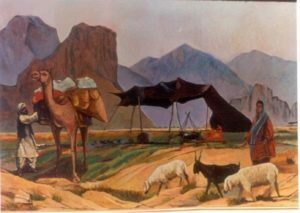 Sammo was also a nomadic who used to feed and guard the herds of sheep in the mountains and in the night used to serve her children and husband. When Tawkali Mast saw her situation, he became sad and could not tolerate it. It’s said that Tawkali Mast used to sit many days in front of the Sammo’s house and one day Sammo’s husband and other tribesmen saw him so they didn’t like this act of Tawkali Mast and used to inform the brothers of Tawkali Mast that come and take this loopy men who is becoming the reason of ashamed, take care of him otherwise we become compelled for Balochi “Mayar” and kill him. After few days again Tawkali used to sit in front of the Sammo’s house, but this time he sat little far from Sammo’s house and stared at Sammo like a mad lover. When the situation became worse than Sammo’s husband went to the commander of their tribe “Gazzain Khan Marri” and informed him about the act of Tawkali . Commander called some elders from Tawkali tribe. Tawkali tribe people told Gazzain Khan Marri that Tawkali has become mad in the love of Sammo. Then finally it was decided to test the love of Tawkali whether he was really mad in love or was just acting. Sardar Gazzain Marri himself went in the place and asked Tawkali to set some distance from the Sammo’s house. 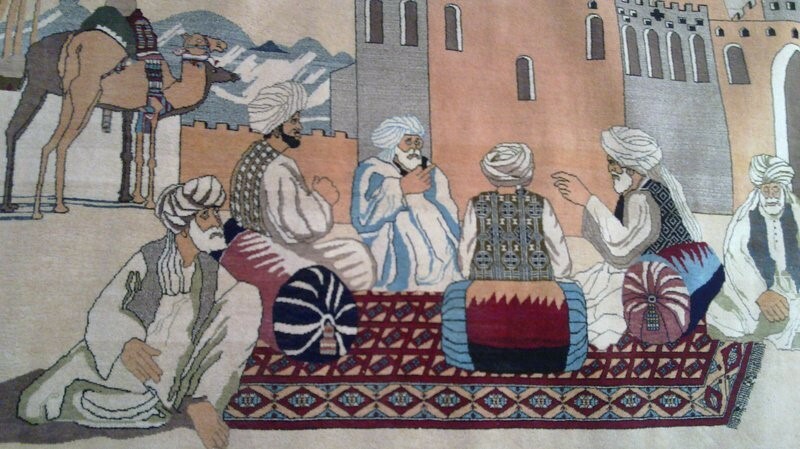 Sardar Gazzain also asked 4 men to sit in a place where they could see Tawkali but Tawkali could not see them. Then Sammo was said to go alone in the place where Tawkali mast was sitting and meet him. As soon as Tawkali saw the Sammo, he screamed and became unconscious and Sammo used to help Tawkali in gaining his conscious back. When Tawkali opened his eyes and saw Sammo from very close, he again screamed and became unconscious. Like this when Sammo was sitting beside him, he opened his eyes saw Sammo and again became unconscious. At last Tawkali was left on his condition and Sammo was called back. 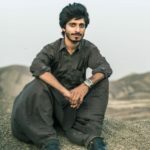 Witnesses who were hiding at the that place informed Sardar Gazzain about all the incident which they saw by their own eyes. 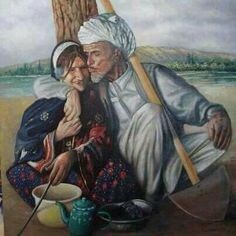 Then all the people agreed that Tawkali had really become mad in the love of Sammo, and the people of Marri tribe said to the husband of Sammo that now don’t doubt on Tawkali’s intention, he is a faithful lover. From that day ‘Mast’ name was given to Tawkali. After this tentative, Sammo’s husband and other people of the tribe didn’t doubt on the love of Tawkali. For some days Tawkali used to sit in front of Sammo’s tent and after some days, he went to the mountains and wondered here and there like a mad lover. One-day Sammo’s husband and other people planned to kill the Tawkali. One evening Tawkali was standing near the edge of the mountain and a man came and pushed Tawkali from the mountain. The man got shocked after seeing that Tawkali moved down from the mountain like a flying bird and landed on earth. After this incident, no one even thought of hurting Tawkali Mast, even Sammo’s husband used to respect him. Tawkali Mast used to travel into the mountains and valleys of Balochistan and used to read his poems in Balochi deewan. Sammo died in 1877 in the month of the Ramazan and Tawkali Mast passed away in 1895 at the age of 67. The shrine of Tawkali Mast is located in Mawand area of Kohlu district.